This unique and original sticker will bring character to any room you choose to apply it to. 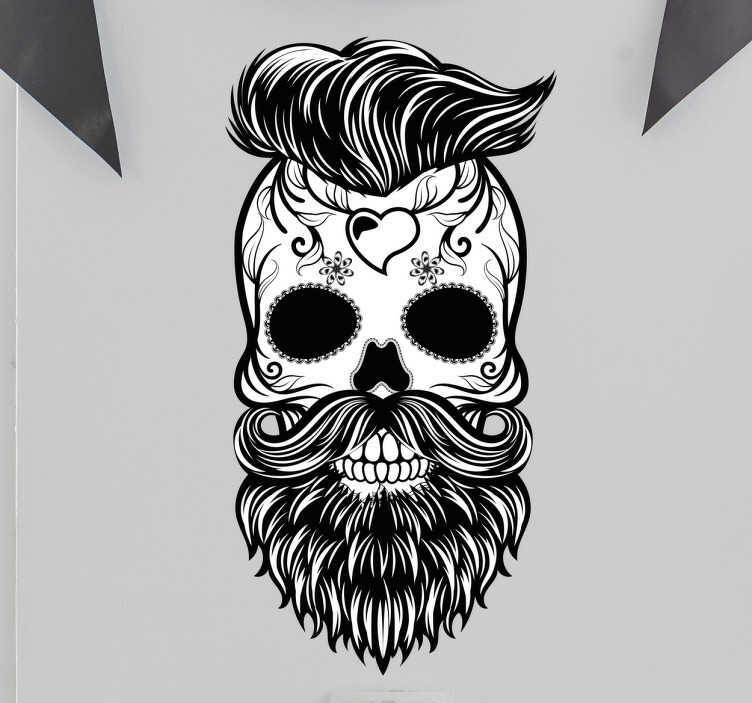 The sticker consists of a skull with a hipster style haircut and beard. The skull also has flowers and a love heart tattoo on its forehead. Decorate your bedroom, living room or any appliance with this cool skull sticker. We use a special adhesive film that is easy to apply to any flat surface and creates no mess.